Construction law is a vital part of any building process. Monitoring every step of the construction process from pre-sale to abatement, one way to learn about the byzantine and nuanced construction laws and state and local regulations is to ask questions to a professional who has experience in the law. This saves the owner or management team both time and money. Whether a builder or homeowner, retaining or getting advised by a construction lawyer can be of great benefit throughout the entire process from initial planning to construction and more. The requirements and deadlines regarding residential properties are different than those associated with commercial properties. The client (or employer) is the party for which any of the construction work or building is carried out. 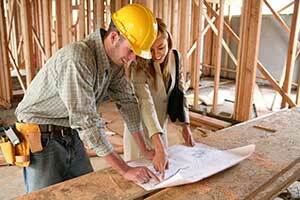 The contractor (also known as the builder) builds the project but may also carry out design. Subcontractors (trade workers) are retained by the contractor, and may be used carry out specialized tasks like electrical and plumbing, as well as other physical site work. What is a Residential Property? In terms of construction law residence is a single-family home or a unit in a multiunit structure, such as a duplex or apartment. Home ownership comes with its own specific lists of needs, and residential construction law is part of the processes from procurement to abatement. A commercial property refers to buildings intended to generate a profit, either from capital gain or rental income. Commercial law offer fuller expertise in understanding the standards that need to be met for a building to earn special designations, tax incentives, energy credits, or other benefits. The legal structure of a residential or commercial construction and engineering project consists of several of the same components: procurement procedure, contracting, insurance, and regulation, as well as solving disputes that may arise during the process. While much of the processes of construction law differ based on residential vs. commercial needs, the key processes remain the same. From the purchase of any goods and services—from building materials to the sub-contractors and workers’ labor, a construction lawyer can be of benefit during this process, as the procurement process often involves contracts between two or more parties regarding goods, services, or other needs. Contracts are binding legal documents, and for most processes in construction, all sorts of parties from suppliers to subcontractors to banking institutions. In both residential and commercial construction law, it’s important for a professional to fill out all the required forms, which must be fully read and dealt with in a legal and professional manner. It’s vital that insurance documents be accurate and specific in detail as to ensure that the construction project is fully covered from liability and to follow all federal, state, and local building regulations to ensure safe construction, to follow specific contract guidelines, and provide legal coverage for clients, contractors, and subcontractors. Construction lawyers are vital to both residential and commercial construction law during and after the construction process, focusing on solutions to any disputes that arise during the construction process and may shut down the work in-progress on a site. A residential property is being occupied by its owner, the client, in construction law. Meanwhile, a commercial property refers to buildings built for profit-generating. Homes built on spec, apartment complexes where all units are intended by the client to be leased, and other real estate developments would not be considered a residential property if it has not yet been sold to a third party and occupied by its owner, the client. 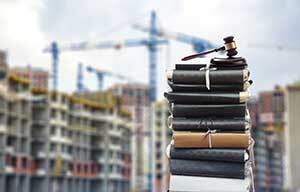 Commercial construction laws and regulations differ from residential laws and regulations. Residential buildings and commercial buildings are regulated by completely different boards of conduct and have different construction rules, zoning requirements, plumbing needs, and electrical code requirements. If a commercial or residential project is not completed to the defined regulations, the client may be fined or even shut down until it is brought up to code. Whether a builder or homeowner, retaining or getting advised by a construction lawyer can be of great benefit throughout the entire process from initial planning to construction and more. Allowing a third party to exercise professional legal authority can be of benefit, helping make those hard decisions from a seat of professional experience. Working with professionals who understand the top developments in construction law is one way to gain a consolidated understanding of current and proposed changes to the complicated and often obscure regulations and laws in one’s area, saving the business owner or manager both time and money.